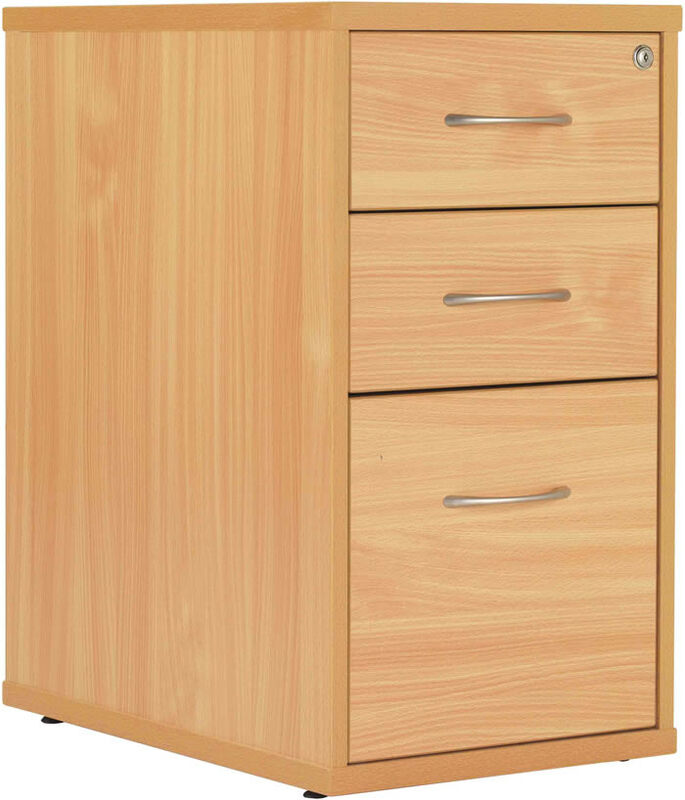 The TC Office Start deluxe beech finish 3 drawer high pedestal features lockable storage and modern curved chrome drawer handles. The Start high pedestal is supplied with two keys for locking top drawer and a 5 year manufacturers guarantee for peace of mind. For storage the Start three drawer pedestal offers a deep bottom drawer and two smaller drawers above, the top drawer houses the units lock.